Washington Latin Public Charter School | Transportation & Location: Washington Latin Public Charter School is located in Petworth on 2nd St NW between Ingraham and Hamilton Streets NW. The nearest public transit to Washington Latin Public Charter School is Fort Totten Metro Station on the Red, Green, and Yellow Lines. The closest grocery stores are Safeway at 3830 Georgia Ave NW and Yes! Organic Market at 4100 Georgia Ave NW. Students and their families find themselves near Catholic University of America within the thriving Brookland neighborhood, and the Takoma Community Center. Cozy one bedroom, one bathroom condo located in beautiful 16th Heights steps away from Rock Creek Park. Beautiful hardwood floors with great natural light. Tree-top treasure flooded w/ glorious natural throughout! Beautiful 1 BR unit w/ spacious LR w/ HW floors, renovated Kit w/ ss appl & granite, large BR w/ WIC. renovated full bath. In-unit laundry. Skylights. Fabulous walkable neighborhood! 3 blocks to Georgia Ave w/ restaurants, groceries, & more. Pet friendly & non-smoking building. 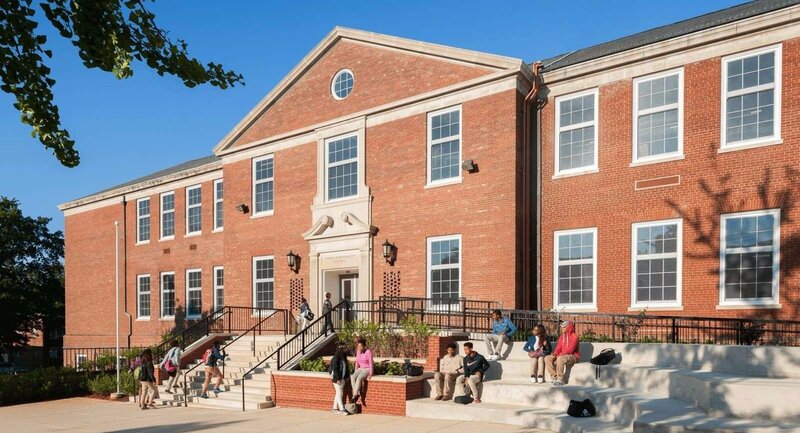 Washington Latin Public Charter School | Neighborhood & Real Estate Information: Washington Latin Public Charter School is located in the Petworth neighborhood. Thanks to large revitalization efforts, Petworth has much to offer in the way of housing. Most homes in the neighborhood are single-family brick rowhouses that can be purchased for the same amount as condos and coops in more expensive neighborhoods south of Petworth. Around the Georgia Ave-Petworth Metro, there are plenty of Condominiums as well as the neighborhood's main strip for retail and dining. Washington Latin Public Charter School | Additional Information: Also known as Washington Latin, Washington Latin PCS, Latin PCS, Washington Latin DC. Beginning with grades 5-7 and adding the next grade each year, Washington Latin Public Charter School opened in 2006 in a church building near The National Cathedral. The school and it's goal of providing a rigorous classical education to DC's public school students moved about the district, utilizing various temporary locations until 2013 when Washington Latin found its home in Petworth in Northwest DC. St. Washington Latin Public Charter School is located at 5200 2nd St NW, Washington, DC 20011.